Start the New Year with no library fines! Patrons 18 & under with library fines may participate. Reader & parent must sign a reading contract in order to participate. Readers will be allowed to check out up to 5 books at a time. Books may be read at the library and not checked out, but the books must be shown to the librarian on duty for in-house credit. Credit will be given on current Kewanna Public Library fines only and no future credit will be given. Credit for reading will be awarded by Kewanna Public Library staff after books are returned. 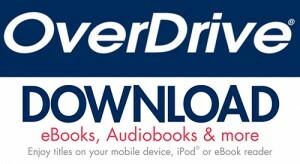 Read for Fines credit can only be used on the participating reader’s card. Only books checked out at Kewanna Public Library will count for library credit. For each book read, $.50 will be taken off the readers’ account. Record sheets for those patrons participating will be kept at the library in order to keep track of credit given on library accounts.